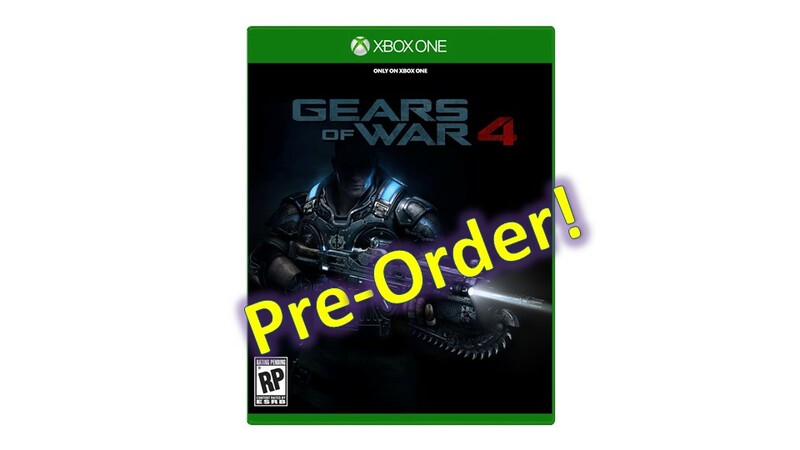 You are at:Home»BUZZ»Gears of War 4 – Available for Pre-Order! One of the most hyped up exclusive game for the Xbox One this 2016 has received a release date of October 11, 2016. Video games seriously need a Friday release date, so I can spend all weekend playing. I digress. Besides Scalebound (coming December 30, 2017), ReCore is the only other Xbox One exclusive game (coming December 30, 2016) I am looking forward to coming out in 2016 – besides GoW4. GoW4 is the fifth game in the series, though the fourth installment, taking place 25 years after GoW3. This time around the main character will be JD, the son of Marcus Fenix, along with Delmont Walker and Kait Diaz saving humanity. Also, don’t forget, you can download your free Gears of War 4 Wallpaper – here! There are already deals for pre-ordering though closer to event date, I’m sure more bonuses will be announced. Pre-ordering a game does mean you get a pre-order lowest price, meaning that if the price dropped after you pre-order the game and its release date, you will receive the lowest price. Also, if you’re an Amazon Prime member, you save 20% off the game, similar discount given by Best Buy if you’re a Best Buy Gamers Club Unlocked member. Are you ready for GoW4? Six months to go and counting! Tweet us @AsianGeekSquad!